Every person likes to make the optimum use of available space in their houses. When it comes to bedrooms, you need to create an equilibrium between cosiness and sophistication. If you look forward to make the use of the entire available space, you need to incorporate the basement bedroom ideas to perfection. 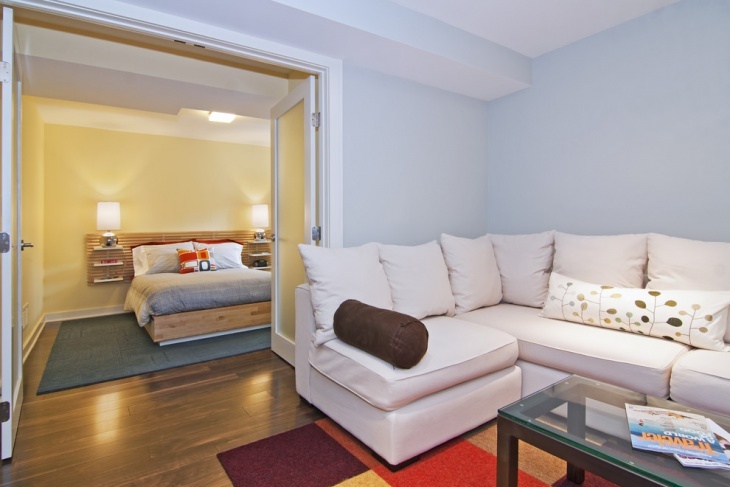 It may be odd to hear for the first time, but yes, basements allow you to make use of the entire available space. 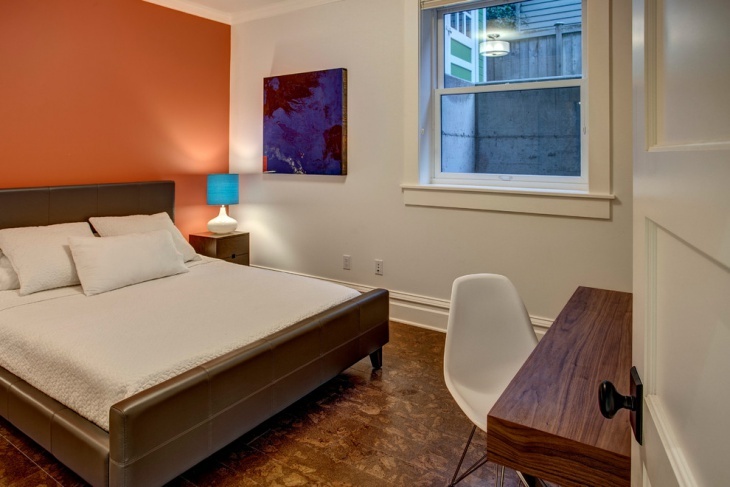 When you go for a Basement Renovation, you get splendid bedrooms with cosy bedding accessories. This is a finished basement with a textured carpet, and there are no windows in the compact room. Paint the walls in a light shade of pink, and you will yield a classy look when you fix small pendant lights in the ceiling. The dark bed-frame and headboard looks matching with the polished dark shaded furniture in the room. 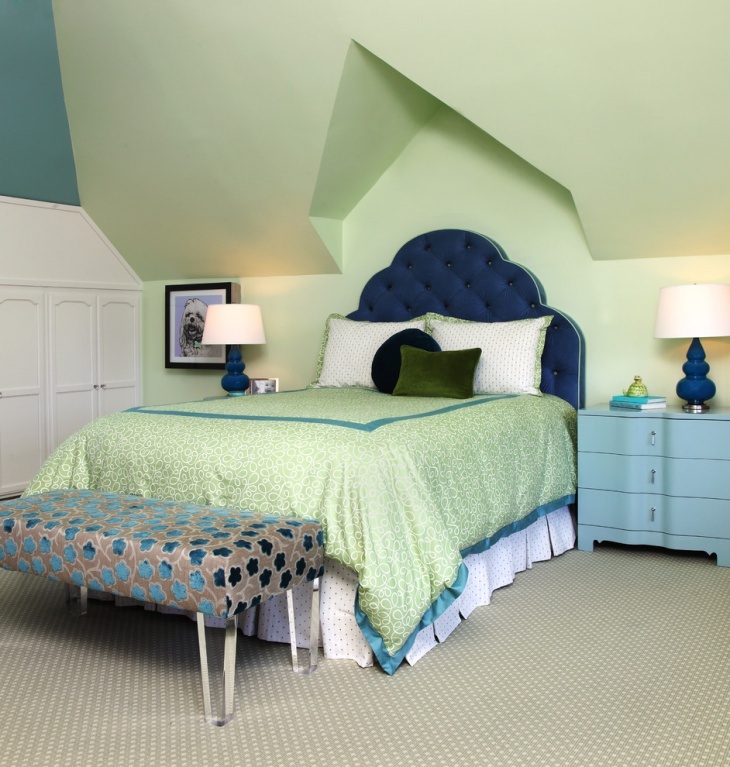 If you plan to design a feminine bedroom in the basement, paint the walls in mint green. A grey carpet on the floor complements the look of the walls. The blue headboard complements the stand of the table lamp, and you can get a perfect mix of color contrasts in the room. 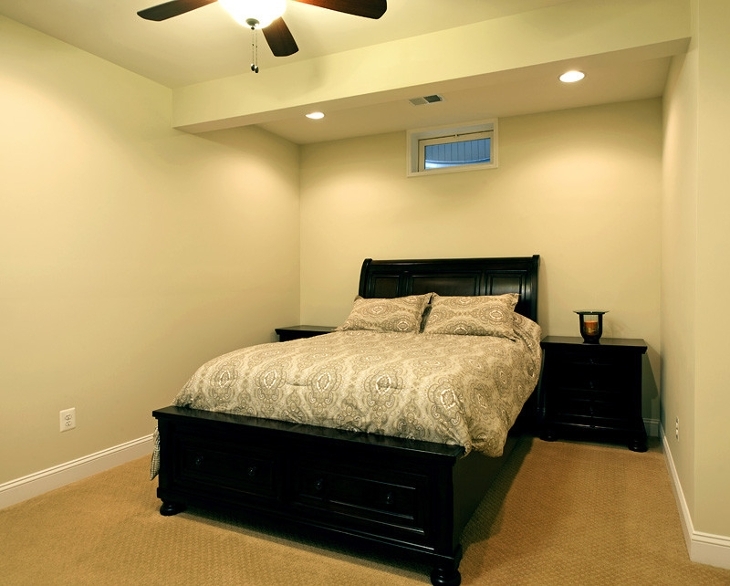 Master bedrooms can look elegant when you incorporate them in the basements. 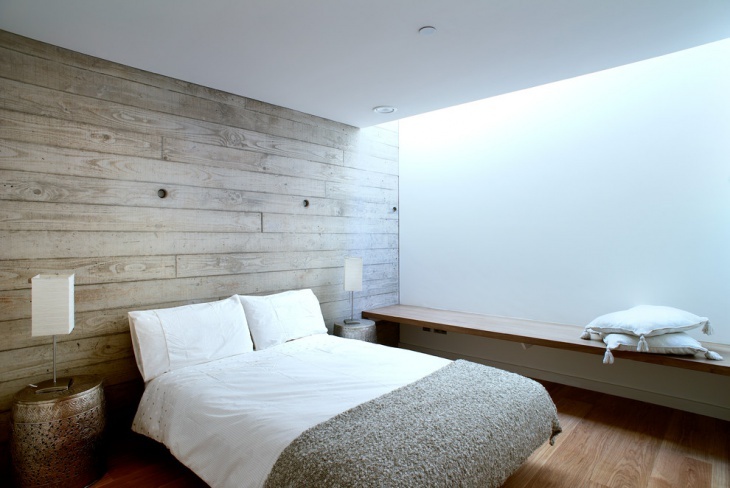 Here, the wooden walls deliver a rustic look to the room, and the painted concrete floors look contrasting to the setting. 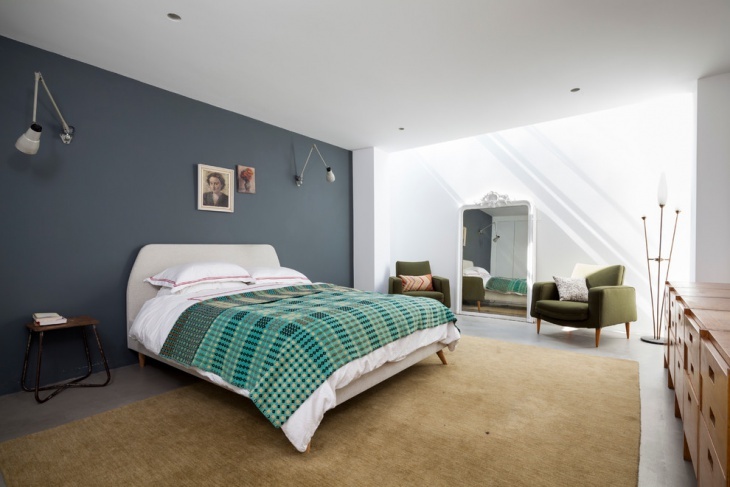 Apart from this, the natural skylight ensures good light inside the room. Fix a few pendant lights on the false ceiling. When you look out for a traditional touch in your bedroom, you can paint the walls grey. The spacious room looks elegant with deep green couches and the yellow laminate flooring looks matching with the setting. Place the low wooden cabinets along the walls to get a compatible look. Guest bedrooms are sophisticated in look, and when you choose the basement for the purpose, you can craft a cosy place for your visitors. The room has a white paint cover with grey closet curtains. Get an embroidered carpet for the floor. 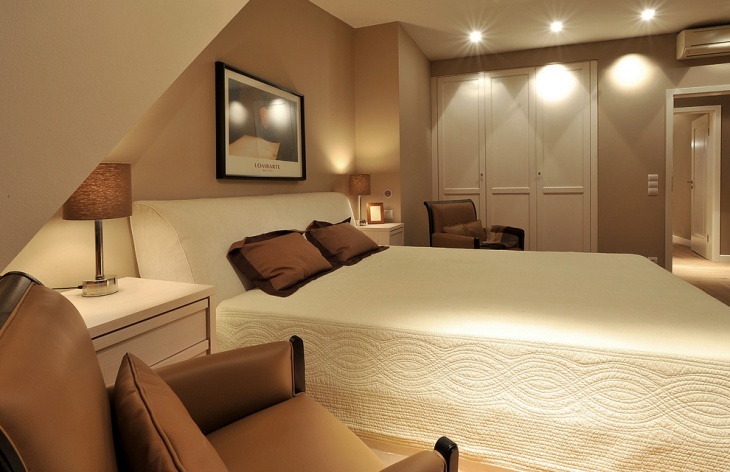 The basement bedroom can be made further sophisticated with a large lamp over the bed. You can be quite innovative with basement bedroom themes. Here, the exposed frames look good with the clay earth plaster. 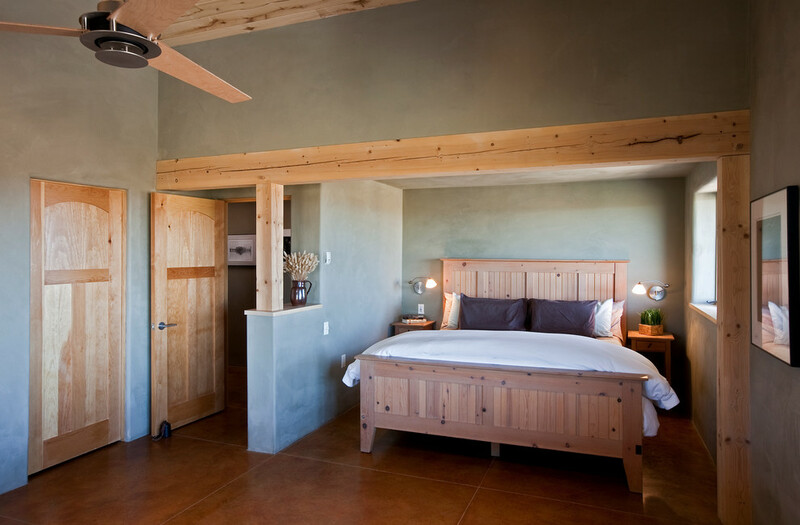 The cottage-type bedroom has timber doors and you can opt for a light brown sectional floor made of pigmented concrete for the room. 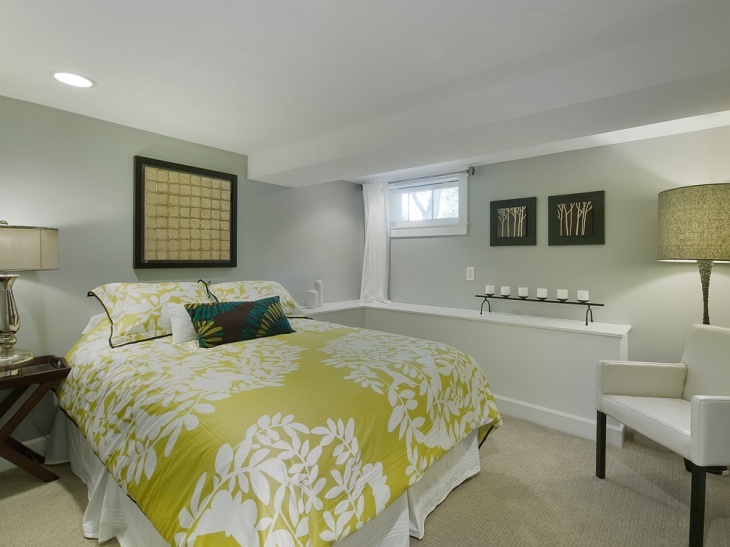 Modern basement bedrooms bear a classy look when you incorporate an earthy tone in it. The exposed beams supporting the ceiling are beautifully matched with the dark baseboard and light colored walls. 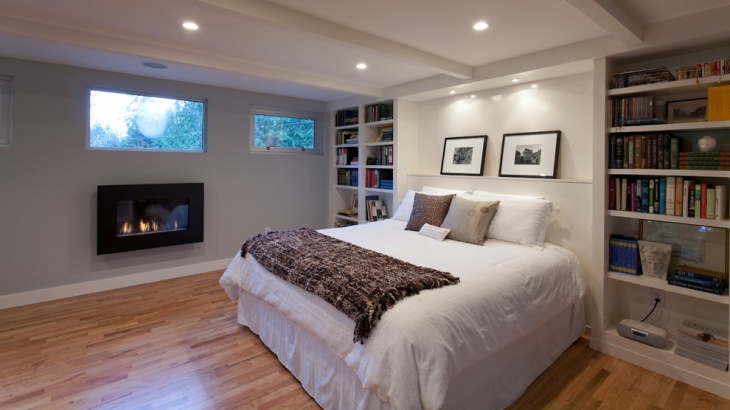 Laminate wood flooring and oak furniture in the room look elegant with the basement bedroom. Modern bedroom ideas are quite innovative. 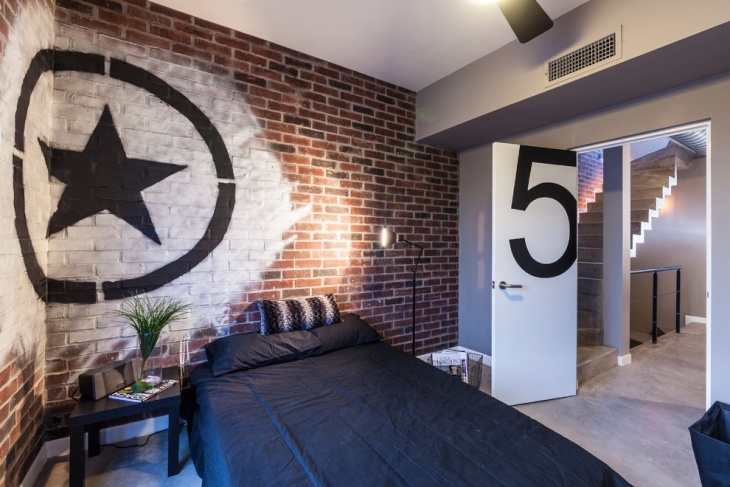 This bedroom with painted brick theme is ideal for teens. 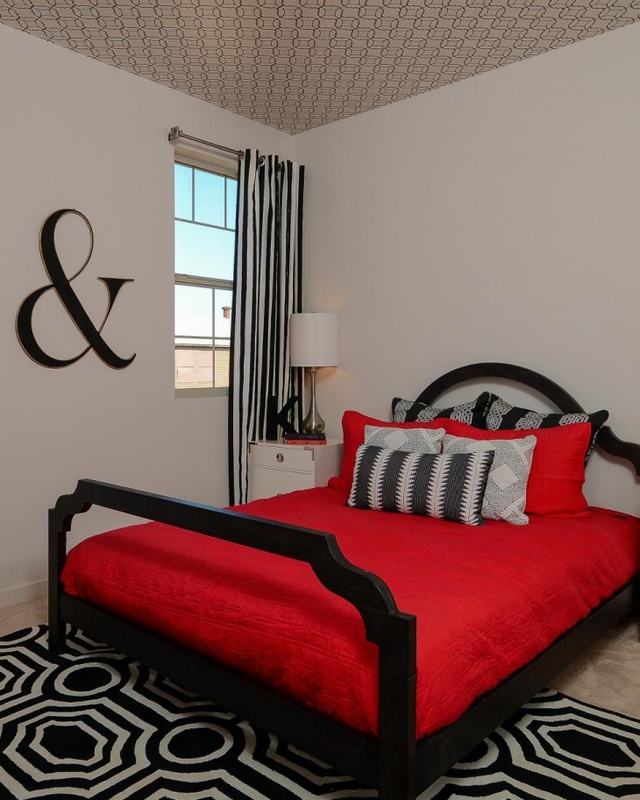 You can buy dark bedding accessories for the room, and it has a contrasting look with the white ceiling. 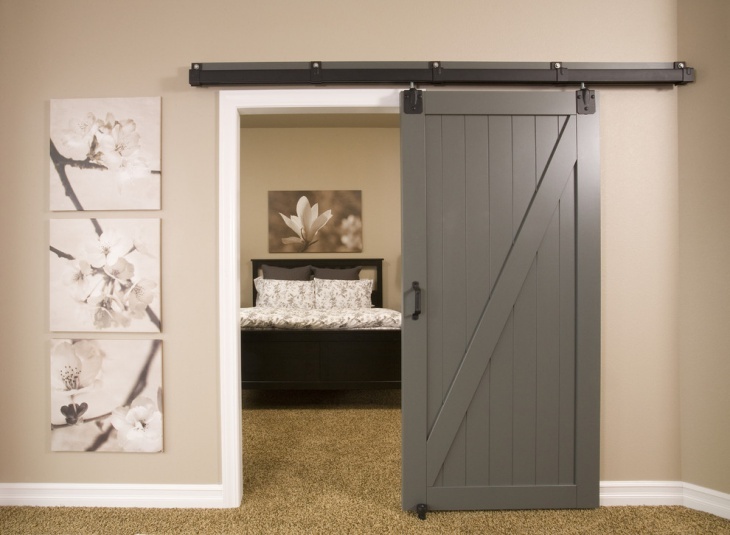 Traditional bedrooms have barn doors and low ceilings. You can opt for a textured basement carpet, brownish-yellow in color. The beige walls in the room look compatible with the setting. Fix a floral theme painting over the headboard of the bed. A dark colored bed frame makes the room complete. When you prefer to get a vintage bedroom, you can make it elegant with wall-mounted reading lights and beige walls. 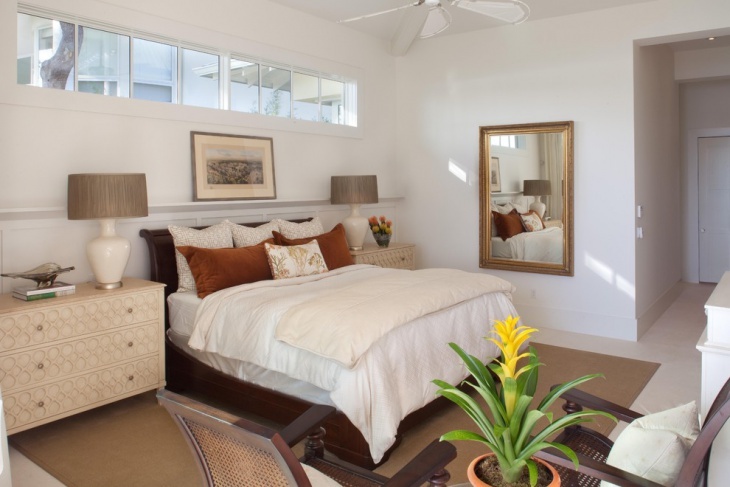 The spacious bedroom has recessed lights to enhance the beauty. A light-colored textured bed cover is ideal for the room. Get a light shade for the furniture in the room. When you deal with basement bedroom ideas, you can make even a traditional bedroom sophisticated with the perfect touch of personalisation. There are different contemporary themes like Coral Bedroom, vintage bedroom and rustic bedroom that you can incorporate in your basement and make the best use of available space. Apart from these themes, you can come up with your own innovations, and feel free to share your basement bedroom ideas with us.